The larger a woodshop gets, the more important both volume and speed become. Upgraded CNC capacity allows a shop to handle more projects and even run a few simultaneously. That, in turn, provides an opportunity to take greater advantage of economies of scale, such as fewer setups and tool changes. Improved load/unload speeds can also have a significant effect on efficiency, as does multifunctionality where a single workstation can perform several tasks. Better machines usually mean fewer defects, too. These concepts are at the core of lean manufacturing, where a company strives to eliminate waste while maximizing the value that a customer receives. An old adage says that one has to spend money to make money. Once the decision has been made to invest in bigger and better CNC capabilities, spending wisely depends on two things: number crunching and knowledge. Deciding how much to invest can be complicated. Spreadsheets might be able to deliver a cost-benefit analysis based on current data and predictions, but they can’t accurately project long-term variables such as consumer taste trends, the availability and composition of future materials, the emergence of new technologies or even future government and environmental legislation. Any one of those factors can seriously affect the return on investment in CNC technology and, the larger the shop, the larger the potential impact. The knowledge factor is a little easier. Knowing what’s new is important and knowing what’s tried-and-true is vital. With that in mind, here’s a look at what the industry is offering to woodshops. One of the biggest challenges facing a woodshop in terms of CNC expansion is where and how to store parts for fluid workflow. A new panel storage system from Holz-Her USA (weinig.com/de) addresses exactly that. The Store-Master provides a completely automated and intelligent material-handling process as well as a highly efficient method of storage space. It’s available in a series of standard sizes to fit both medium and larger shops or it can be customized to meet pretty much any existing floor space. The Store-Master can be used as a standalone storage system or integrated into automated loading for nested based routers. For shops that need big CNC capabilities in a very small footprint, Holz-Her also just released the Connect package for its 7405 vertical machining center. This allows pockets and grooves to be cut for connectors such as the P-System Connector from Lamello. A shop can now cut pockets for these and other connectors on all four edges as well as in the X and Y directions. For this purpose Holz-Her added an additional (seventh) tool changer location as well as a matching programming macro. For shops that work with LockDowel connectors, Laguna Tools (lagunatools.com) offers its SmartShop LD4 dowel boring and inserting machine that works in tandem with a CNC. 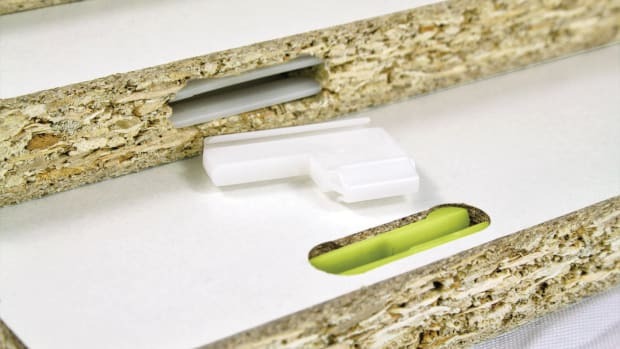 It drills and inserts LockDowel’s glue-less, invisible H-clips and spring pins in milled parts to create joinery for cabinets, drawer boxes, closets, desks, solid-wood furniture and many other applications. NexTech Machinery (nextechmachinery.com) in Cornelius, N.C., recently introduced its new R400 moving gantry CNC router. This machine was designed with the specific goal of improving efficiency while reducing work in progress. It does that by eliminating downtime and adding different levels of automation for the loading and removal of finished parts. The R400 also offers remote diagnostics and label printing. It comes with a 12-hp HSD spindle, a HSK 63F tool holder and one of four table options — two at 49” x 97” and one each at 61” x 121” and 61” x 149”. Biesse America (biesse.com) uploaded a new video on YouTube about the Rover Gold G pod-and-rail processing center. It has a comprehensive parts locking system and built-in lifting bars to load large panels. There’s a wide choice of vacuum modules with integrated rotation abilities that provides abundant ways to lock parts in position and there’s an auxiliary vacuum outlet for custom jigs. The Rover Gold G comes with a remote control pad and automated dust collection. Movement along the axes is on precision guides with rack-and-pinion transmission. There’s a 6 kW horizontal motor with a double outlet and a liquid cooling unit for the spindle. The BH17 boring head has independent spindles, the revolving tool-changer has 16 positions and the machine has an automatic centralized lube system. It’s easy to imagine what a new CNC setup might do for a woodshop, both now and down the road. On the other end of that spectrum, however, is the need to justify a budget. There’s a delicate balance between meeting today’s needs and opening the road to future potential. What exactly does a CNC center need to do right now as opposed to what it can grow into in the future? Somewhere there’s a point where a woodshop decides how much to spend on either machine hours or man-hours. That level of automation depends heavily on many factors, including the direction the shop is taking, the scale and nature of new projects, the predicted health of the construction industry and, perhaps most pivotal, the work habits and skills of employees and owners. The decision process begins with learning what’s available. Manufacturers do their best to present as many options as possible and constantly updatable websites are far more efficient at that than once-a-year print catalogs used to be. New from C.R. 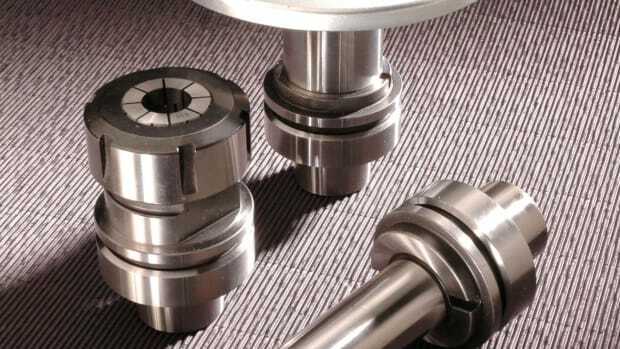 Onsrud (cronsrud.com), for example, is an online, interactive catalog of more than 60 pages that showcases the company’s American-made CNC centers. Anderson America Corp. (andersonamerica.com) also offers a comprehensive online catalog. The company announced in early 2016 that it was handing over distribution and support of its Omnitech line of CNC routers to Giben America (now at omnitech-systems.com), and is now concentrating more on 5-axes technology. Many of the larger manufacturers and suppliers handle trade-ins and if a CNC is its own brand it will often recondition and upgrade the machine before sending it out for resale. For example, Nr. 1 Maschinenmarkt (number-1-mm.com) belongs to the Felder group of companies and it has three U.S. locations, two of which are in California and one in Texas. The parent company, Felder Group USA (feldergroupusa.com) offers a baker’s dozen of Format 4 brand CNC centers for larger woodshops, ranging from the compact C-Express 920 classic all the way up to the H500, which is a 5-axis, 12 kW unit that can deliver four-sided door and window processing with automatic delivery. Hermance Machine Co. (hermance.com), based in Williamsport, Pa., has been selling new and used industrial machinery since 1902. Another good resource for used equipment is RT Machine Co. (rtmachine.com) in Hughesville, Pa. Global Sales Group (useddoormachines.com) distributes several lines of woodworking equipment including some used machines. Budget-minded buyers that only need three axes might also want to take a look at the Patriot 5x10 from Colorado-based Freedom Machine Tool (freedomcnc.com). The moving gantry machine offers a full 60” x 120” table and has a 7” Z-axis range. And ShopSabre (shopsabre.com) offers the IS series in table sizes up to 5’ x 10’ and 6’ x 12’ and has a tube steel gantry and bridge with ball screw drive (as opposed to rack and pinion). Freedom’s parent company, Diversified Machine Systems (dmscncrouters.com), is a manufacturer of 3- and 5-axis CNC routers and machining centers. Hendrick Mfg. 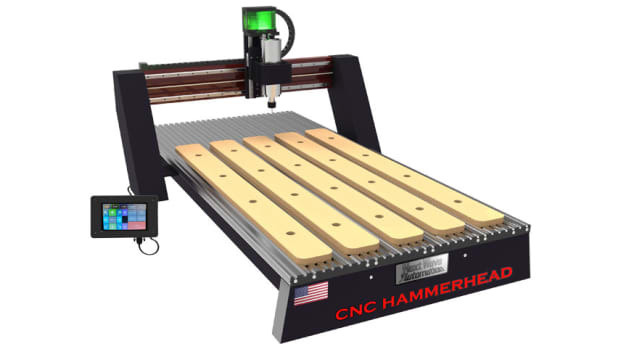 (hendrickmanufacturing.com) offers three families of CNC routers — the entry level HLD, mid-sized HSR and heavy-duty HHD that come in both 3- and 5-axis configurations. Most manufacturers can tweak a CNC configuration to match a woodshop’s unique requirements. A shop building fireplace surrounds will have different requirements than, say, one making medical casework. For cabinet and furniture builders with very specific needs, some CNC suppliers can offer a high level of customization. Limtech Ind. (limtechindustries.com) understands that. With a showroom in Gastonia, N.C., and manufacturing in Asia, Limtech offers three levels of CNC platform to US customers. Each of these can be designed and configured to very exacting specifications. The company’s Pegasus series is the largest format and is fully customizable in terms of table size, spindle, tool changer and Z-stroke configurations. SCM Group North America (scmgroupna.com) offers an extraordinary range of CNC options for larger woodshops. Beyond six SCM brand machines designed for nested panel and furniture work, the company also supplies the extensive Routech (primarily for millwork components) and Morbidelli (furniture-oriented) lines. The company also supplies a vast array of other large equipment, which might mean one-stop shopping when a woodshop is looking at expanding where its CNC advances need to be integrated into a larger system that includes more operations than panel processing. The same is true of Stiles Machinery (stilesmachinery.com), which not only handles Belotti, Weeke and Heian CNC routers and milling centers, but also distributes almost 60 other familiar woodshop machinery brands. Having expertise available that can match components in a system is a boon, especially when a woodshop needs the flexibility to switch quickly between furniture and casework. Some larger shops don’t need that adaptability and might want to streamline within the confines of a single brand. 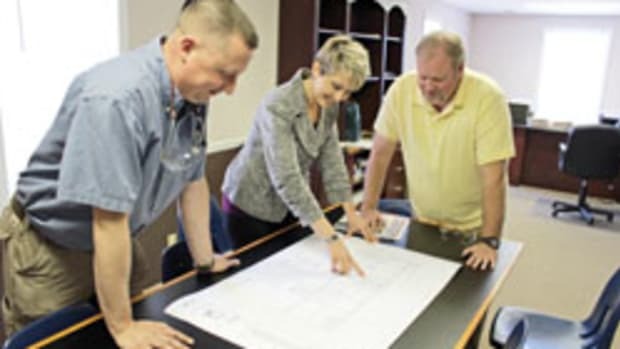 For example, companies that specialize in custom window and door manufacturing might want to take a look at four dedicated machining centers from Soukup America (soukupamerica.com). 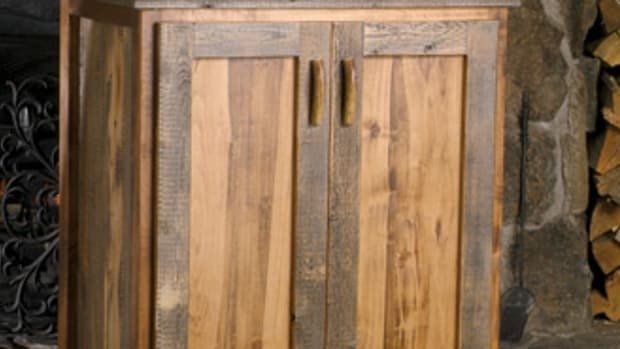 For shops looking at manufacturing cabinet doors in-house, Voorwood (voorwood.com) builds CNC milling/sanding machines in the USA and ships worldwide. In business for more than half a century, Vorwood was founded by woodworkers and still relies on them for design input. ShopBot (shopbottools.com), based in Durham, N.C., enjoys a very solid reputation for innovation and the company offers several larger CNC gantry tools in its PRS Alpha series. These come in a variety of bed sizes, including 8’ x 4’, 8’ x 5’, 10’ x 5’ and 12’ x 5’. The PRS Alpha series deliver rapid transit speeds of 1,800 inches per minute and cutting speeds of up to 600 ipm. These machines are easy to configure, re-configure, learn and use. 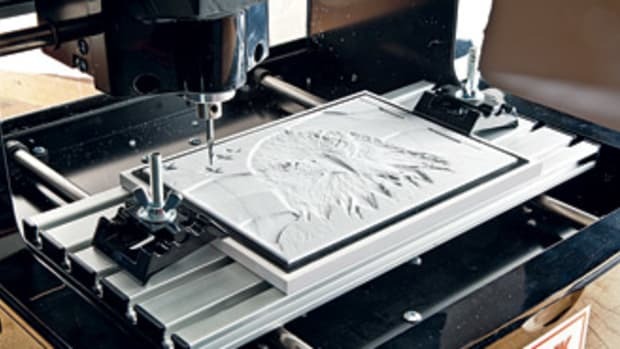 The Venture Plus CNC router from Techno CNC Systems (technocnc.com) is a versatile CNC router designed for demanding applications that require high throughput. It includes an eight-head rotary tool changer that moves with the machine while the gantry travels. The use of a carousel speeds up tool changes and the gantry is constructed of tubular steel with reinforcing ribs welded throughout the length of the column. The Venture Plus Series machine comes standard with a 12-hp HSD high-frequency automatic tool changer. This precision spindle requires no maintenance, uses industry standard ER collets and ISO 30 tool holders, has fully programmable speeds from 6,000 to 24,000 rpm and comes complete with a pneumatically retractable vacuum hood. It also includes an automatic tool calibration touch-off pad, which makes quick and easy work of measuring tool lengths. The Cut Center from Thermwood Corp. (thermwood.com) doesn’t require operators to learn complex programming and it is so easy to use that it walks an employee through every step of the process when making cabinets, closets, furniture, doors, drawers and more. The woodworker simply tells the machine what to make via a touchscreen interface and it goes to work without any programming. Plus, a woodshop can operate the system as a CNC router in the traditional manner, too, and run programs that have been generated with virtually any CNC software. 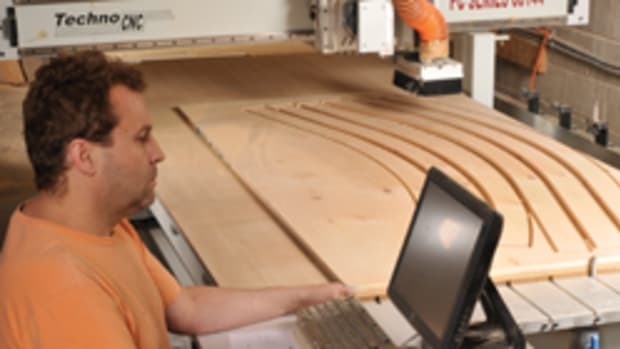 Ontario-based Silver Machine Inc. (silvermachineinc.com), also known as Golden Hill Woodworking Machinery Ltd., offers four CNC centers suited to larger or growing woodshops. These are manufactured in Asia, using primarily European parts. The company also imports a wide array of other woodworking machinery. SNX Technologies (snxtechnologies.com) is now distributing its new nVentor series of 3-axis CNC routers that offer nested base, vacuum pod or pendulum-processing technologies. The SNX 512A delivers fast and efficient pendulum processing on two table work zones or instantly switches over to full nested-based production on a single large 5x12 workspace. For shops looking at upgrading to CNC-based dovetail drawer manufacturing, Macoser Woodworking Machinery (macoser.com) is the sole importer in the U.S. for 18 models of Omec dovetailing, gluing, clamping and hot stamping machinery. Ontario’s AXYZ International (axyz.com) is a leading global manufacturer of CNC router systems and CNC knife systems. It’s Pacer series offers table widths from 60” to 103” and lengths from 48” to 20 feet. Helical rack and servo drives are standard. The Sidewinder XPR from California’s CNC Factory (cncfactory.com) has an eight-beam, crossed-braced frame and weighs 4,200 lbs. It has a rotary eight-tool carousal (upgradable to 24) that delivers tool changes in less than eight seconds and cutting speeds of more than 1,400 ipm with rapid travel of 2,200 ipm. The company’s new SXPR is available with robotic unloading; a 12-hp, air-cooled spindle and Syntec control center. Jenkins Systems & Service (jenkins-systems.com) in Sheboygan, Wis., offers a variety of CNC-based shaping, sanding and machining centers designed to handle trimming, contouring, drilling, angular gain, corner rounding, coping, sanding, notching, tenoning and haunching. Komo Machine (komo.com) designs and manufactures an entire line of CNC routers and machining centers, all made in the USA. 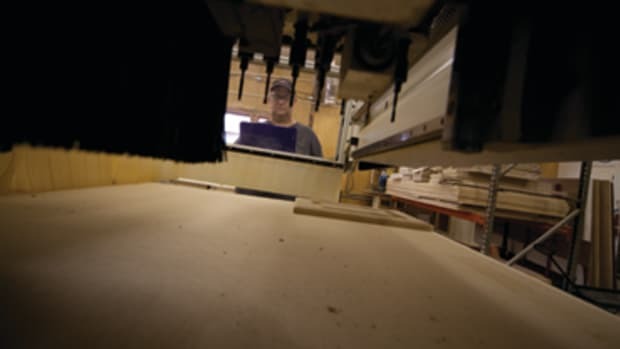 In business since 1966, the company’s four CNC lines cater to every size of woodshop. Italy’s Masterwood CNC (masterwood.com) has been producing woodworking machines for more than 50 years and its website currently lists 18 CNC center options, including some 5-axis nesting units. New CNC is based in Holland, Mich., and offers a number of machining centers and lines including pod and rail, 5-axis, AL/UL (auto load and unload), plus its Motion, Sharp, Smart and Talent series. The company also builds custom configurations. Investment levels require an educated guess that must be tempered by experience. Upgrading can be a gamble and one good way to hedge that bet is to find other shops that have recently taken a similar step and ask how it worked. Trade associations are a good way to find peers in other geographical markets: these usually won’t be direct competitors and, as such, could be more willing to share an accurate assessment of results. Larger trade shows are also a good way to meet other shop owners and managers and CNC manufacturers will normally introduce a potential client to several existing ones.